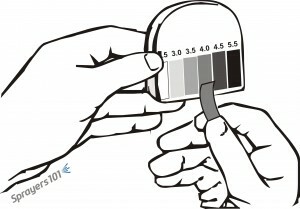 Litmus paper is a fast and simple way to test pH. If the pH of your spray water is higher than 7.5, it is alkaline enough to affect some pesticides. The ideal carrier pH for pesticides is slightly acidic (pH 4.0 to 6.0). Alkaline water can break down certain insecticides during mixing, and inactivate some fungicides if left too long in the tank. 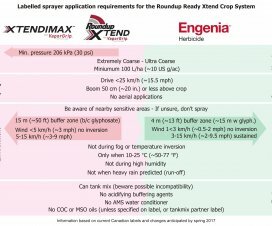 Time is a factor: A pH of 3.5-6.0 is typically acceptable for spraying and short term storage (~12 hours) of most spray solution in the tank. A pH of 6.1-7.0 is acceptable if the pesticide is sprayed immediately. A pH of 7.1 or greater requires a buffer or acidifier. 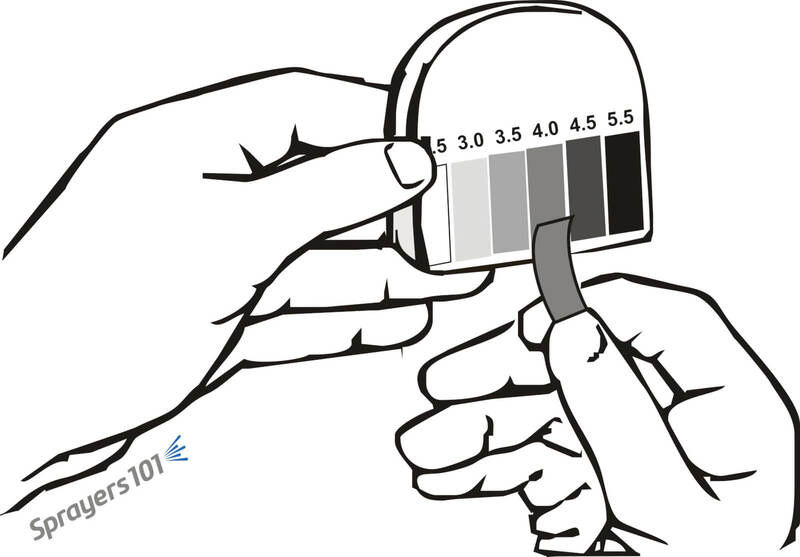 The three methods for measuring pH are a probe and meter (the most accurate method, costing ~$30.00), litmus paper, or a field kit (e.g. www.preiser.com , www.hoskin.ca ). This is usually an issue with herbicides (e.g. salt-formulated), which can be affected by certain minerals dissolved in water. You can test your dissolved minerals using Total Water Hardness test kits (e.g. www.H2OKits.com ). They are packaged as individual test strips. The foil packets are small enough to fit in your pocket, and are ideal when testing out in the field (~$10 for 40 tests). Certain products (usually herbicides) can be negatively affected by suspended silt and organic matter. Water turbidity can be measured using a Secchi disk (more appropriate for waterways), a turbidimeter (very expensive), or an inexpensive turbidity test (e.g. www.lamotte.com ). With water dispersible granules, permit a little extra time for dissolution in cold water. If you add an oil-based product before a granular in cold water, you can get agglomerates that plug up the sprayer parts like screens and nozzles. Water-based products tend to thicken in cold water. 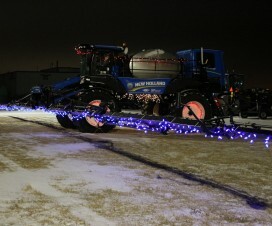 On the other hand, warmer temperatures can cause “oiling” where emulsifications become less stable and increase the amount of residue on sprayer parts. Generally, it’s best to get oil-based products on as soon as possible while using high agitation. In summary, commercial products are available to reduce pH, soften hard water and clear dirty water. Be sure to follow the pesticide label and the water treatment product label, exactly. 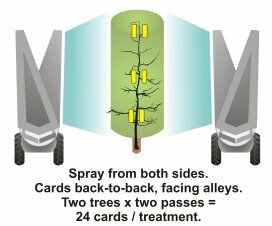 For more information on how water affects spraying, consult Purdue Extension’s “Adjuvants and the Power of the Spray Droplet – PPP-107”. You can also consult Purdue’s “The Effect of Water Quality on Pesticide Performance – PPP 86”.